Botanist and botanical artist, Lizabeth Leech, has written a comprehensive introduction to botany for both artists and non-artists alike. In Botany for Artists, Liz does more than simply rattle off facts about plants. 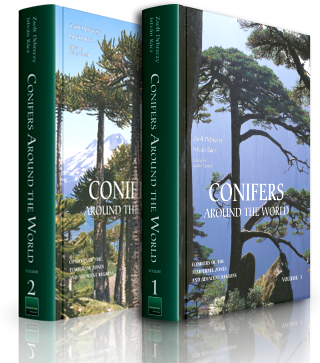 She teaches readers how to observe and record information about the plant specimens before them, as well as any fungi or lichen that may have taken their breath away. Liz teaches readers how to see with “helpsheets” — worksheets designed to help artists see carefully, the morphological features of different plant groups. Blank helpsheets for flowers, winter twigs, gymnosperms, ferns, moss, and fungi are provided in the appendix and are easy to copy for personal use. Liz’s Explanation of the Floral Formula. Helpsheet #2 (Recording Flower Details While Sketching and Annotating) found in Chapter 2, provides a helpful breakdown of the floral formula. This sheet will make recording data in the field easier and, most importantly, reliable! With this helpsheet completed, artists shouldn’t have too much of a problem keying out a plant back in the studio or keying out a plant at some later date. Labeled Line Drawings. Informative line drawings can be viewed throughout the book. Good examples are grass (Chapter 3), an orchid flower (Chapter 4), a winter twig (Chapter 8), and moss (Chapter 11). and seed dispersal mechanism. Her review is better than the usual charts and graphics encountered in a traditional botany class. Liz’s Review of Gymnosperms. In Chapter 9, artists will find descriptive photographs of different gymnosperms, a helpful table summarizing the phyla of gymnosperms and an example of how to complete Helpsheet #4 when observing gymnosperm specimens. Liz’s Review of Ferns, Club Mosses and Horsetails in Chapter 10, along with her illustrations and Helpsheet #5 (Ferns), ensure artists will develop a fluent understanding of these groups. Helpsheet #6 (Moss), in conjunction with Liz’s illustrations and photographs about the branching habits of moss and the leaf shapes of bryophytes, is sure to strengthen artists’ understanding of mosses and how they work. Liz’s Introduction to Fungi & Lichens will enhance artists’ understanding of where and how fungi and lichen grow. Helpsheet #7 (Fungi) is a helpful guide to collecting and observing capped fungi. How to Indicate Scale on a Drawing or Painting. 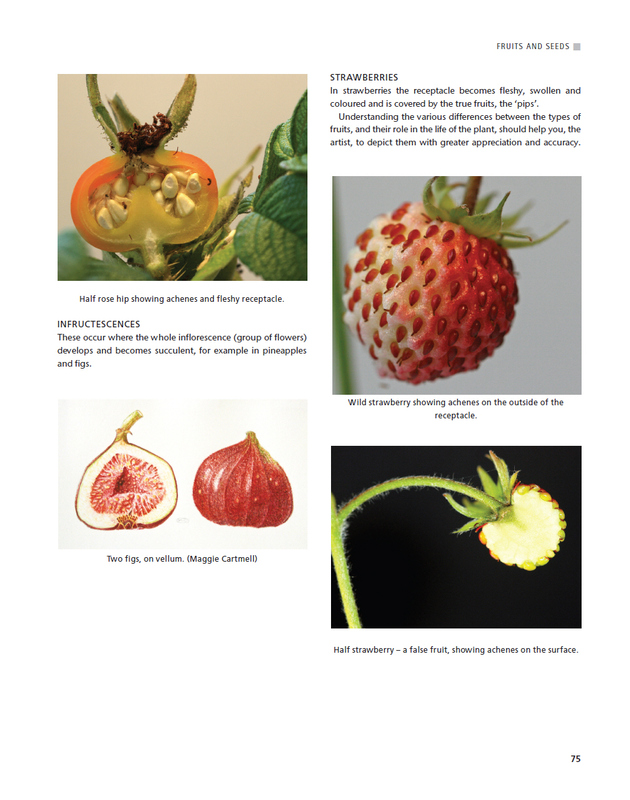 Instructions on how to indicate scale can be found in the last chapter of Botany for Artists, along with a review of binomial names and plant-collecting equipment. An explanation of the classification of plants, an introduction to the Hampton Court Palace Florilegium Society, a 297-word glossary, and a bibliography are also included in Liz’s new book. 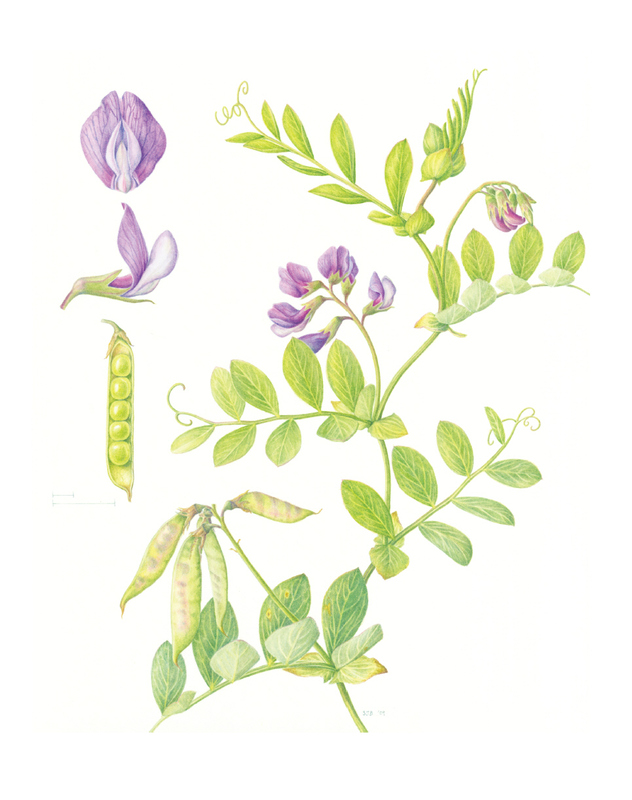 Botany for Artists is a wonderful resource for botanical artists, as well as anyone incorporating botanical themes into creative projects who would like to learn more about plants. Published in the UK in 2011, Botany for Artists is now available in the US and can be purchased at ArtPlantae Books. Use the coupon code presented at checkout to deduct 15% off your purchase.